BEST SELLER. 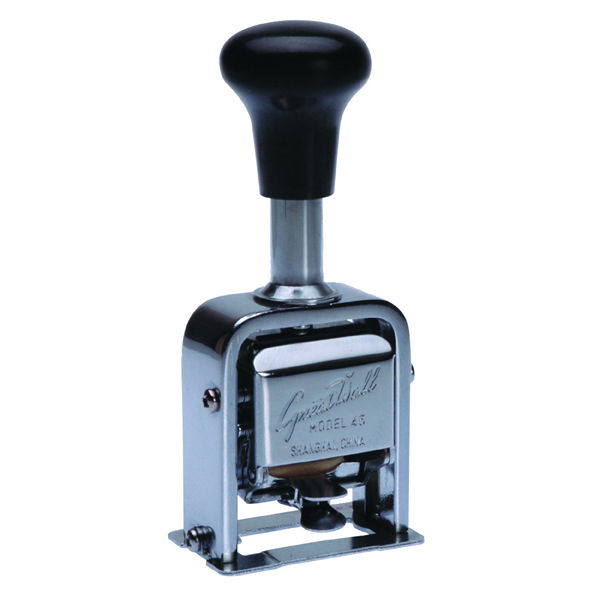 Traditional Medium Duty Metal Numbering Machine. It has 6 wheels and 9 actions to enable the user to select the amount of duplication of individual numbers. Sturdy design constructed from steel including numbers. Includes Black Ink bottle (360451), felt ink pad and wheel changing stylus. 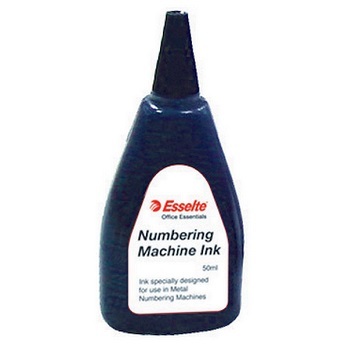 Esselte Numbering Machine Ink specially designed for use in Metal Numbering Machines. Ideal for the Great Wall Model 45 Numbering Machine. Available in Black, Blue or Red ink colour. Replacement Felt Ink Pad for Great Wall Model 45 Numbering Machine.